Memoirs of a Chocoholic: Groovy! While my mum and I were on our monthly shopping trip in One Utama shopping centre, we decided to stop by the new Japanese restaurant there called Sushi Groove. It's located on the Ground Floor of the New Wing (Oval section) and is pretty easy to find (near the main escalators). 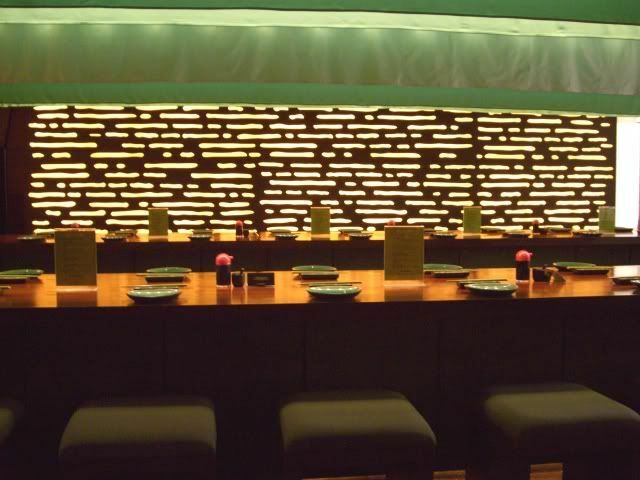 The theme at Sushi Groove is modern and funky - dark wood, sleek fittings and an interesting feature wall with what looked like lit up Morse code. I liked the overall setting there but found the remix/ borderline techno music they were playing to be a bit too loud and quite a fair bit annoying. 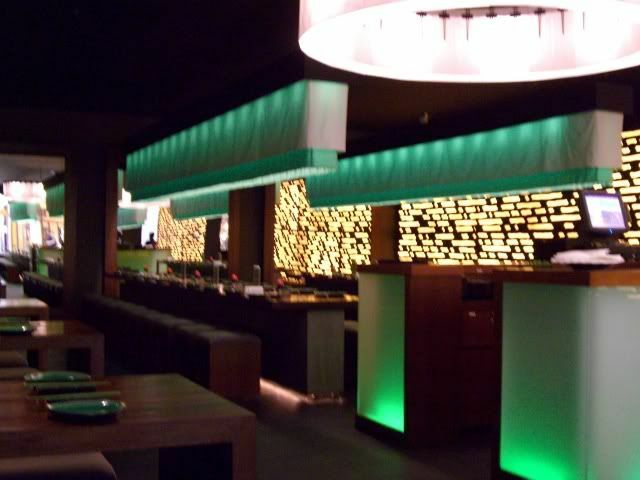 There was a good range of reasonably priced and interesting starters and sushi rolls. Of course, there are some classics like the Agedashi Tofu and range of sashimi but there are definately a lot of unusual things that you won't find at other Japanese retaurants. Some of them, like the Flying Geisha Roll - deepfried inari (beancurd skin) stuffed with spicy tuna and cream cheese - sound yummy but unhealthy though! 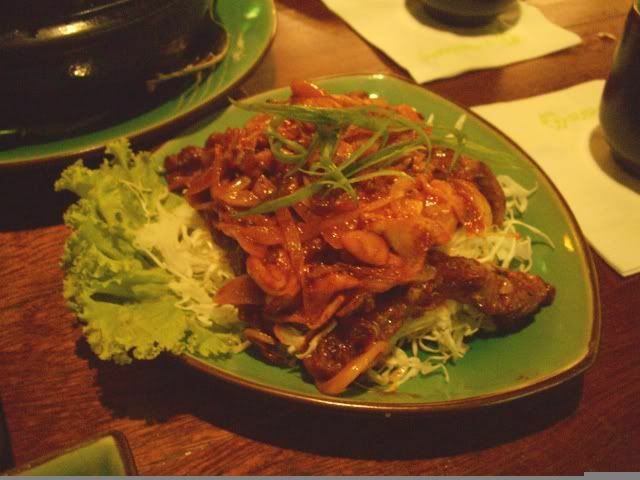 The battered strips of deep fried beef came topped with some yummy onions that had been stirfried in a slightly spicy sauce. The beef wasn't really THAT crispy or tender but I think it tasted pretty good overall. 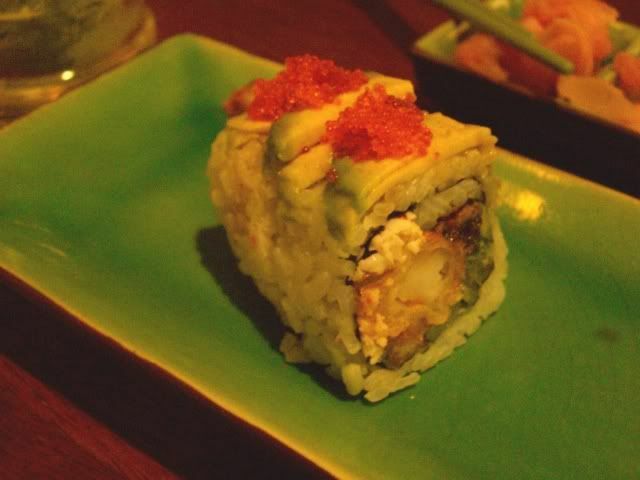 The Dragon Roll was quite nice - a good medley of texture and taste with the tempura prawn, crab salad, cucumbers, avocado and tiny bit of unagi. 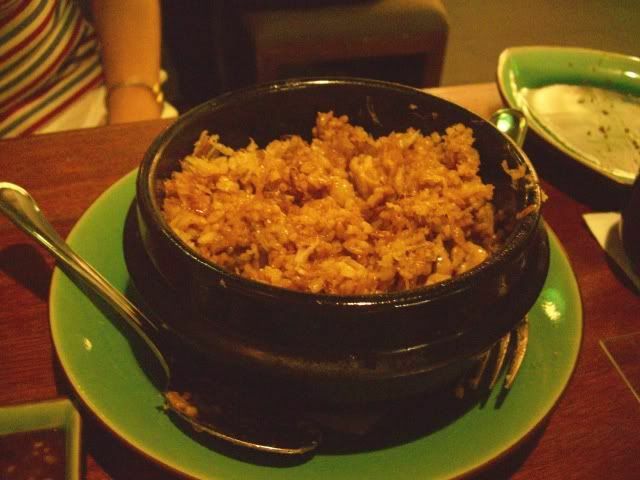 The Curry Fried Rice BiBimBap was also pretty interesting - the rice had a bit of a sticky texture and a lovely fragrance of curry powder (not very spicy though). It came served in a stone bowl and was mixed with raw egg and bits of tempura batter, tender chicken pieces and bonito flakes. Unfortunately, the serving is a bit too big for the average person so you may feel a little "jelak" (queasy?) after you get about halfway through. I would definately order this again - it was creamy and bursting with black sesame flavour but thankfully not too sweet... 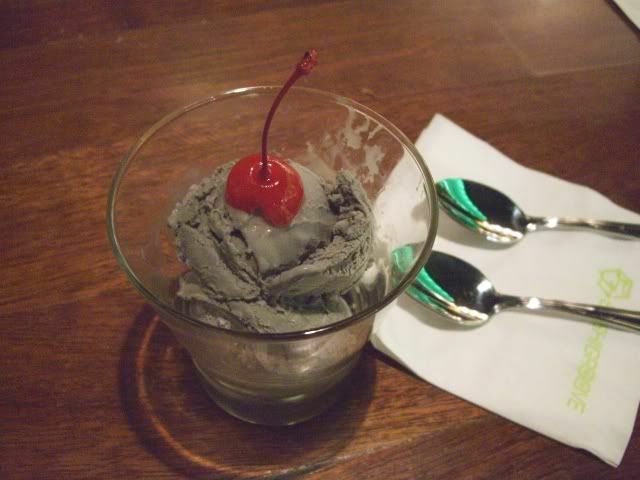 I would even say that it tastes better (and so much better value) than most of the black sesame ice creams I've tasted at other Japanese restaurants around town (even the ones at some top KL hotels). So it's: Funky, modern setting with friendly staff, good range of interesting sushi (as well as a few rice and noodle dishes) and reasonable prices BUT limited desserts and irritating (to me) techno-ish music. I passed by the restaurant but never went in to try. Price looks good, I thought it would be more expensive than that. Will definately try next time. Well, overall the food quality's ok for the price - totally agree with you though: there is still plenty of room for improvment and yup, the bibimbap fried rice is jelak! I hope you enjoy the food when you do try it out - it's not great but it's pretty good considering the reasonable prices. Dropped by from the Ultimate List to visit a fellow flogger :o). I have yet to try out this groovy place. Nice of you to drop by, O' Fellow Lover and Blogger of Food. 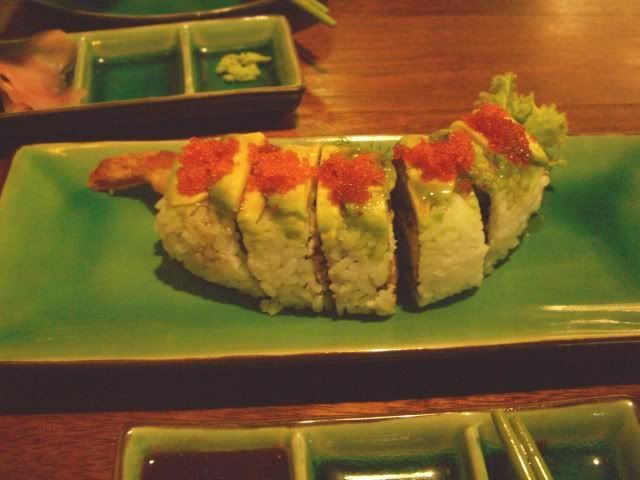 I hope you will enjoy the interesting sushi at Sushi Groove if you try it out. J, I've come out with this year's Merdeka Open House topic, pls check Merdeka Open House 2007. Hope you can join the fun. ... and there's even pub-like loud techno music! It's almost Merdeka time again!